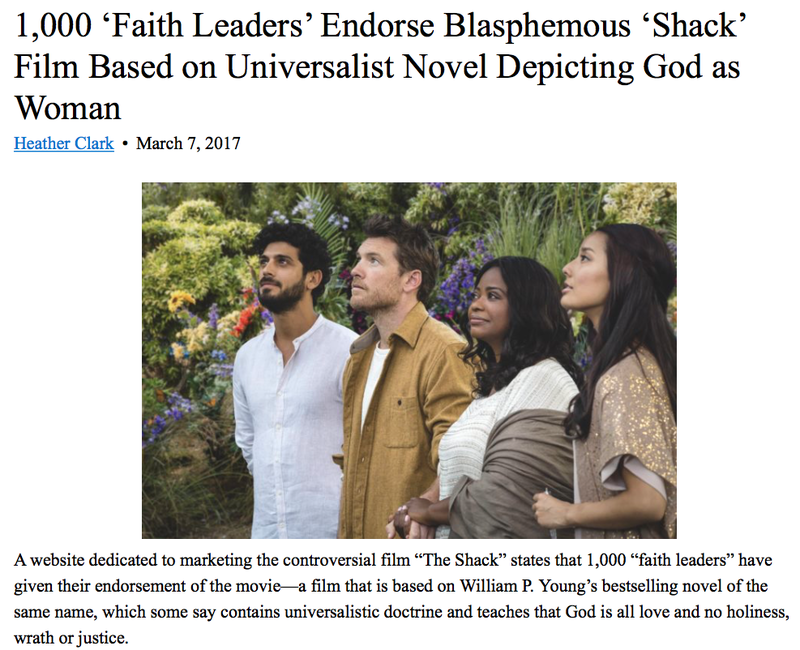 As promoted by the best-selling religious allegory The Shack, a non-Christian worldview is playing around with the mind and soul of evangelicalism even to questioning of salvation’s meaning. With the release of the movie by the same name, The Shack’s verbal images are now being visualized. Contemporaneously, and capitalizing upon the publicity generated by the movie, yet another book by Wm. 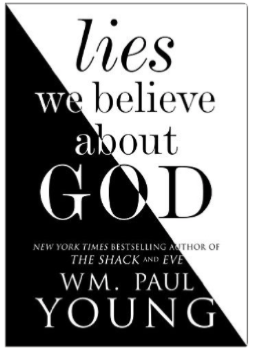 Paul Young has hit the market, Lies We Believe About God. Now in Lies We Believe About God, the shrouded “story” plays a more minor role as Wm. Paul Young openly states his theology. 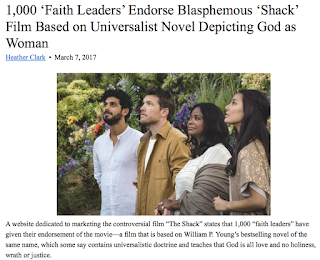 Young continues to exert a compelling presence among mainstream evangelicals through his interviews, books and release of the movie, The Shack. Leaders Pat Robertson and James Robison have praised the movie. Featuring the book’s author, the Trinity Broadcasting Network (TBN) has recently aired a weekly program Restoring The Shack. But despite their popularity, Young’s teachings contradict what Scripture teaches about God, humanity, love and salvation (his contention being that all people are reconciled to God, are friends with God; i.e., universalism), and this conflict needs to be addressed. His revisionist thinking about “Christian beliefs” does not derive from seeing the faith through the lens of Holy Scripture, though he might pretend it to be otherwise, but rather through a prism of his life experiences and emotions. His devastating life experiences while growing up in New Guinea as an MK (Missionary Kid) may explain his journey as to why he has come to believe what he believes. But while the negative emotions aroused by his experiences, and similarly those of others, may explain why Young feels the way he does about some of the evangelical culture’s expressions of belief, they do not excuse his departure from biblical Christianity; that is, if biblical Christianity is to remain the true way of understanding and approaching God. The purpose of this writing is not to deal with all the issues Young raises in Lies We Believe About God. While he raises a few legitimate concerns which I might share, most of them are illegitimate. What I find irreconcilable with the authority of Scripture is the template he forces on the Christian faith and how wedded to his life experiences, he tries to fit the Bible and its teachings into the psychological and philosophical way he views the world. For example, if, as he states, all people are universally reconciled to God (Young: Are you suggesting that everyone is saved?... That is exactly what I am saying! LWBAG, 118), then why believe Christianity? (John 14:6) Isn’t that Young’s point by using an atheist as an example of being a child of God to disprove the lie, “Not Everyone is a child of God.”? (LWBAG, Chapter 24, 203-208) If early Christians had not believed in the exclusivity of the Gospel, the Christian church’s genius would have been lost and Christianity would have reduced itself to the status of a sect in the first century. If I thought universalism to be true, I would possess no compulsion to believe Christianity or encourage others to place their faith in Jesus Christ for salvation. If in the Trinity I along with every other soul on this planet already have an eternal and loving relationship with God, then no matter what I believe or how I behave I am going to be God’s friend and go to heaven anyway, right? It may take time to work out the friendship between God and me, but we’ll get there. 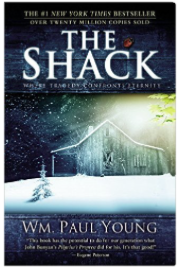 Previously to this writing and eight years ago, I expressed my concerns regarding the theology of Paul Young as expressed via story, allegory and metaphor in The Shack. My reservations were written in my book, Unshackled: Breaking Away from Seductive Spirituality (2009). Interested readers can also consult my article about the “god” of The Shack posted years ago on the website Herescope titled, Elousia and the Black Madonna: Imagination, Images and Impurity in “The Shack.” The purpose of this writing is not to replay previous writings contained in Unshackled, but rather to biblically and theologically interact with and refute Paul Young’s teachings in his book, Lies We Believe About God; namely, that by virtue of descent from the Trinity via creation, every human being is through Jesus connected to God in a personal, organic, dynamic and eternal relationship (Genesis 1:26-30; 2:7). Thus we turn to look at the view of salvation Young promotes in his book (really, all his books) Lies We Believe About God. To begin with, I would like to share the paradigm Paul Young employs to measure Christianity, how he determines what are the truths and what are the lies regarding the faith. Understanding this template will help readers to see, I hope, why Young embraces some beliefs and why he discards others. And I might add, around this worldview much of the popular pan-evangelical movement appears to be coalescing. As I have reflected upon two of his books, The Shack and Lies We Believe About God, a spiritual template emerges—call it a paradigm, straight jacket or grid—by which Young measures his spiritual truth derived from the aggregate of his life experiences—as well as those of others (good and bad)—his psychological preferences, his philosophical perspectives, his twisting of Bible passages, his theological musings and his beliefs about God. In order to be included as part of the “relationship” between God and man as his template fashions it, his religious experiences and beliefs must fit in accord with his misgivings about the Christianity he experienced while being part of the North American fundamentalist-evangelical subculture (being an MK, Bible college student, etc.). The core of his template is this: Young believes that universally all humans have a relationship with God and are redeemed and reconciled to Him. Everything in life—all cultural experiences, Scripture and theology—must, conditioned by his and other’s experiences and accompanied by his explanations, be molded to fit his belief system. If life events, evangelical expressions of faith or Scriptural teachings don’t fit his system of “truth,” they are considered “lies” (few, a very few, deservedly so). Thus the question arises, because he writes from a claimed Christian perspective, what are the psychological, philosophical, biblical and theological underpinnings which form the universalistic template by which he determines his truth that everybody’s saved because they’re in a relationship, either enjoying or not enjoying it, with God? To explain why he believes what he believes, we will try to unpack these assumptions. To Young God is the Tri-Personal being who infuses and permeates the whole of creation which he spells a couple of times with an upper case “C” (Creation) in Lies We Believe About God and approximately twenty times (Creation) in The Shack. In doing so, he suggests nature is possessed of divineness. Presumably, the universe exists because in a symphony of unity the Trinity created it (Father, Son and Spirit, Genesis 1:1-2 and John 1:1-4). 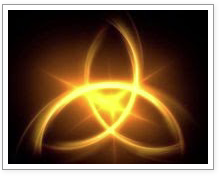 But this created universe, and here’s the catch, exists “inside” the Trinity. 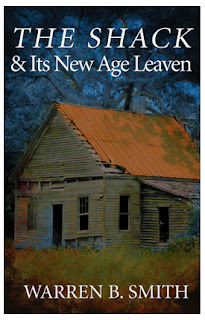 In the Foreword to Young’s book Lies We Believe About God, C. Baxter Kruger, a Trinitarian theologian, explains the relationship of the Three-Person Oneness of God to creation like this: “Inside of this moving divine dance of relationship, everything was created: every human being, every plant, every subatomic particle, everything.” (Emphasis added, LWBAG, 127-128). So in this view creation is not separate from, but is contained in the Tri-Personal God. The universe is inside, not outside the Trinity. The Trinity is the container, the universe becomes the contents, and God infuses Love into the contents so that no separation exists between container and contents. Remember: Both Young and Kruger tell readers there’s no separation between the Trinity and humanity, no us and them. (LWBAG, 232, 11) Question: How do compatriots Kruger and Young know everything’s inside the Trinity? Do they arrive at this conclusion through philosophical speculation, their Sophia? Is that the basis? (In The Shack wisdom or Sophia is not Christ (1 Corinthians 1:24, 30), but “a personification of Papa’s wisdom,” 171). This quantum-like physics worldview (where like gravity the Trinity’s energy or Force of Love infuses and permeates the entire cosmos) is monism or oneness, i.e., all is one and one is all. This eastern-like mystical and New Age worldview implies that the universe and the Triune God exist together in a harmonious and rhapsodic movement (No separation!) of dance, in a sort of hypostatic union comparable to the way in which the divine and human fused and danced together in the Word incarnate, Jesus Christ. In such a symbiotic relationship (Creator and Creation “need” each other.) the creation feeds from the Trinity and the Trinity feeds from the creation (Yin/Yang or As Above, So Below). God as the Ground of Being is thus the God in whom Tillich would have us place our trust. But this God belongs to the circle [“We are a circle of relationship,” Papa tells Mack about the Trinity in The Shack, 122] of pantheistic theory. Ultimately, Tillich’s God absorbs everything into Himself [ed., like Young and Kruger’s model of the universe—everything is “inside” the Trinity]. In cosmic co-inherence, not unlike quantum theory, the Tri-Personal God and all that comprises the universe symbiotically dance together, mutually moving with, among, between and in each other in an ethereally loving and dancing relationship. 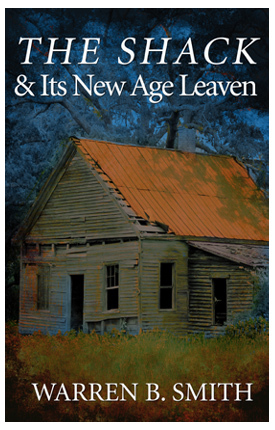 As the title of Cooper’s book indicates, Young and his friend Kruger are peddling and popularizing panentheism within the greater evangelical, charismatic and emergent church communities—that God is in everything (contrast pantheism, everything is God). 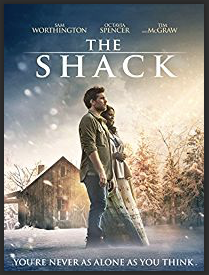 So in reality Moltmann’s panentheistic theology, and by implication Young and Kruger’s, reduces the faith to pagan nature worship, and millions of Christian readers are ignorantly genuflecting before The Shack, both the book and the movie. By use of his template, Young transports readers to worship in his temple. By virtue of their eternal love they live in one another to such an extent, and dwell in one another to such an extent, that they are one. Thus, any understanding that God is Holy (“holy” means to separate, to be set apart, and to be sanctified) becomes quite naturalized. And by the way, if the Lord God is not Holy (Revelation 4:8) then neither is He Worthy (Revelation 4:9-11). The essential element of Pantheism... ‘is the unity of God and nature, of the Infinite and the finite, in one single substance.’ The Infinite is not swallowed up in the finite, nor the finite in the Infinite, but both co-exist; and this co-existence is necessary and eternal [ed., by Young and Kruger’s reckoning, everything eternally exists inside the Trinity]. Thus we have the One and the many, the Absolute, the All. It will have no dualism, it will unify nature, man, and God. This then is their sense of their universalism, the Trinity circularly moving, “dancing” and changing together in the oneness of Love, and in the process (enter process theology) why not let the whole creation, “every human being, every plant, every subatomic particle, everything” join the great quantum-cosmic dance? Then indeed, there will be “no separation” between God and humans as biblical words sin, wrath, condemnation and judgment imply, only Love manifested in “dancing,” “sharing” and “relationship”—the next word we move on to consider. God is Love, and because the whole creation exists inside the Trinity, there is as has been stated, no separation between God and humans. The Tri-Personal Deity infinitely and eternally loves; each member equally loving the other two without personal diminishment, jealousy or competition between and among them (To state again, this is called perichoresis, co-inherence, social Trinitarianism or “the dance”). Their “dancing” relationship the Tri-Personal God desires to see reproduced between them and all humanity, and this the sovereign Tri-Personal deity has done, is doing and will continue to do ad infinitum. Because all creation exists “inside” the Trinity, creation becomes infused, like gravity, with the Love they share. “Relationship” therefore becomes actualized between God and every human being who ever lived. Extending out of the Trinity’s union with creation, God is understood by Young to love humans unconditionally, and humans, though they might not realize it just yet, to similarly love God. (After all, they’re inside the Trinity!) Though some humans do not find themselves necessarily “fond” of God, God always remains fond of them (“Fond” is Young’s synonym for love, “We are especially fond of you,” Papa says to Mack in The Shack, 234). It may take time for some humans to become “fond” of God (i.e., develop a relationship), but sooner or later when they wake up to Love, whether in this life’s dimension or the next, they will (Talk about determinism...!). Of course, such a scenario flies in the face of the Apostle Paul’s statement that there are those who are “haters of God” (Romans 1:30). Yes, some people can’t have a relationship with God because they hate Him! Having looked at the aspect of relationship in Young’s worldview, we turn now to the subject of redemption and reconciliation. Note: I do not deny the truth that in positional union in/with Christ all believers have together been made alive, raised up and seated in heaven with Christ (Ephesians 2:5-6; Colossians 2:12; Romans 6:3-7). What I do deny are the universal implications which Young prejudicially extracts from the great truth of believers-only union with/in Christ to extend it to every single human being who ever lived. This is the spiritual template of Wm. Paul Young and C. Baxter Kruger, a grid through which Scripture must pass and then be molded to fit into their paradigm of universalism. This is the foundation upon which they base their beliefs. (Bible verses had better fit, or else!). In the last part of the book and in an attempt to prove his fantastic scheme of universal relationship-redemption-reconciliation, Young weaves together a series of Scripture passages, something he calls A Catena. He extracts and intertwines thirty-four Scripture passages in his catena, many extracted from the Apostle Paul’s letters. In this weaving-deceiving he attempts to make biblically believable the conversation he’s having with naïve readers. His catena only includes passages containing the words “all,” “every,” “world,” “cosmos,” “everything” or “everyone,” passages he personally selects to fit his template and provide cover for his aberrant theology. About this method of using the Bible we ought to recall words of the Apostle Peter. Young’s approach to Bible quotation or allusion resembles that of “untaught and unstable” teachers who distort the meaning of Scripture to their own and others’ destruction if they swallow “hook, line and sinker” what is being cast to them (2 Peter 3:16). Young presumes that because all creation is “inside” the Trinity, because the Love of the Trinity resides in union with all creation, and because all humanity before time participated in the life, death, resurrection and ascension of Jesus, all are, have been or will be redeemed-reconciled with God. For readers who might have read or be reading The Shack or Lies We Believe About God, I ask that you consider my assessment of Paul’s paradigm to see whether or not his arguments can best be understood against this backdrop. Universal Love as expressed in universal relationship-redemption-reconciliation is the template Young tries to fit God and humanity into, and no matter what, they are going to fit! About the captivating religious box Young and Kruger have constructed for people to put their trust in, no matter how earthly-wise the packaging of it, the Apostle Paul gave this warning to believers: The box is empty! dwelleth all the fulness of the Godhead bodily. We turn now to the book, its title and contents. Wm. Paul Young, Lies We Believe About God (New York, NY: Atria Books, 2017). Besides this book and The Shack, Young also wrote Crossroads and Eve. 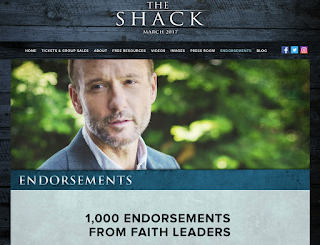 Charity Gibson, “‘The Shack’ Cover Artist Renounces Book for Leading People Astray: ‘I Have Deep Regrets’,” The Christian Post, April 19, 2017 (http://www.christianpost.com/news/the-shack-cover-artist-praised-renouncing-book-i-have-deep-regrets-180895/). Gibson quotes Dave Aldrich who designed the cover for The Shack who quotes Young. Al Dager, Media Spotlight (Sequim, WA; Omega Ministries Spring 2017): 27. Trinity Broadcasting Network, March (https://www.tbn.org/programs/restoring-shack). I will employ the acronym LWBAG (Lies We Believe About God) and page numbers when quoting the book. Pastor Larry DeBruyn, Unshackled: Breaking Away from Seductive Spirituality (Indianapolis, IN: Moeller Printing Company, 2009). Book available for free PDF download at Discernment Ministries website, http://www.discernment-ministries.org/Unshackled%20by%20L.%20DeBruyn.pdf ; hard copies available from Discernment Ministries, P.O. Box 520, Canton, Texas, 75103; Phone: 903-567-6423. Pastor Larry DeBruyn, “The Shack, ‘Elousia,’ & the Black Madonna: Imagination, Image, and Idolatry,” Herescope, July 2, 2008 (http://herescope.blogspot.com/search?q=Black+Madonna ). Pastor Larry DeBruyn, “The Shack and Universal Reconciliation,” Herescope, October 24, 2008 (http://herescope.blogspot.com/search?q=reconciliation ). Young adapts the phrase “ground of all being” from the term used by Paul Tillich (1886-1965) “to indicate God as the source of all reality or being.” Donald K. McKim, “Ground of Being,” Westminster Dictionary of Theological Terms (Louisville, KY; Westminster John Knox Press, 1996): 122. Kenneth Hamilton, “Paul Tillich,” Creative Minds in Christian Theology, Philip Edgcumbe Hughes, Editor (Grand Rapids, MI: Wm. B. Eerdmans Publishing Co., 1969): 470. Vernon C. Grounds, “Pacesetters for the Radical Theologians of the Sixties and Seventies,” Tensions in Contemporary Theology, Stanley N. Gundry and Alan F. Johnson, Editors (Chicago, IL: Moody Press, 1976): 95. See John W. Cooper, Panentheism The Other God of the Philosophers: From Plato to the Present (Grand Rapids, MI: Baker Academic, 2006): 251. For further study, Kruger recommends the writings of Jürgen Moltmann. 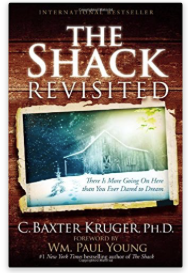 See C. Baxter Kruger, The Shack Revisited (New York, NY: FaithWorks, 2012): 267. See Larry DeBruyn, “The Holy God,” Unshackled: 17-22. Samuel J. Andrews, Christianity and Anti-Christianity in Their Final Conflict, Second Revised Edition (New York, NY: G.P. Putna’s Sons, 1899): 126-127. *As of May 23, 2019, the title for this series by Pastor Larry DeBruyn has been changed from the word "Refutation" to "Rejection". **Herescope's editor added this word. Read Warren B. Smith's excellent article "The Shack’s Universal Papa," in which he descibes Papa as not unlike a pagan trickster god. "But in regards to Papa, it states that “in his shapeshifter form he tends to change genders and forms to delight himself." Our friend Warren B. Smith is writing many articles posted at Lighthouse Trails, some which are referenced or linked to in this article, including his most recent: “Shack” Theology: Where Is the Devil? 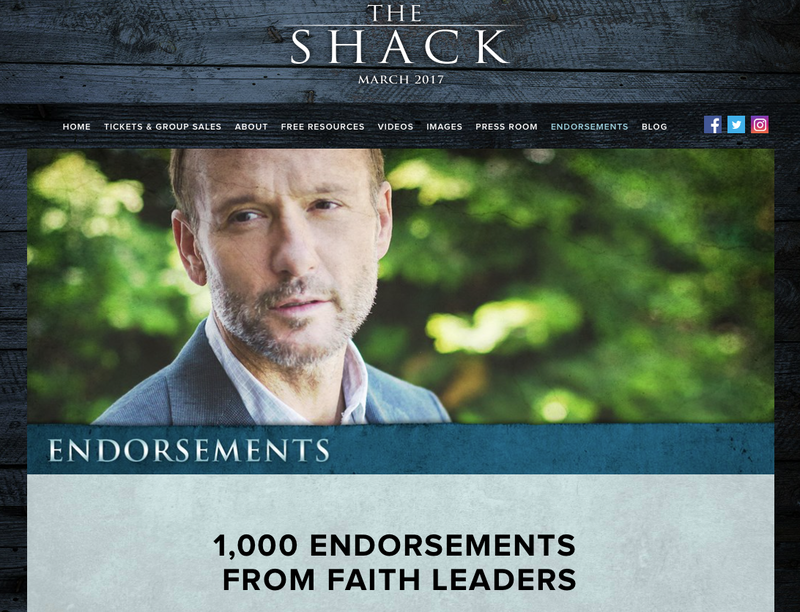 • TBN Pulls Plug on “Shack” Author’s New Book—Sort of . . .
Herescope and the Discernment Research Group have been on a badly needed sabbatical since December 2016. This post begins a multi-part series which will be published on Guarding His Flock Ministries website and also Herescope.